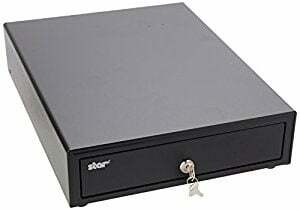 Star SMD2-1317 - 13" x 17", Printer Driven, 3-Bill/5-Coin for Canada, DK Ready, Includes CD1 Cable. Color: Black. Star's SMD2-1317 cash drawers offer secure cash management in any retail or hospitality environment to complete a sleek and functional mobile point sale. The SMD2-1317 offers a standard sized cash drawer with the connectivity options necessary in any sales environment. The Star 37965020 is also known as Star Micronics	STA-37965020	.